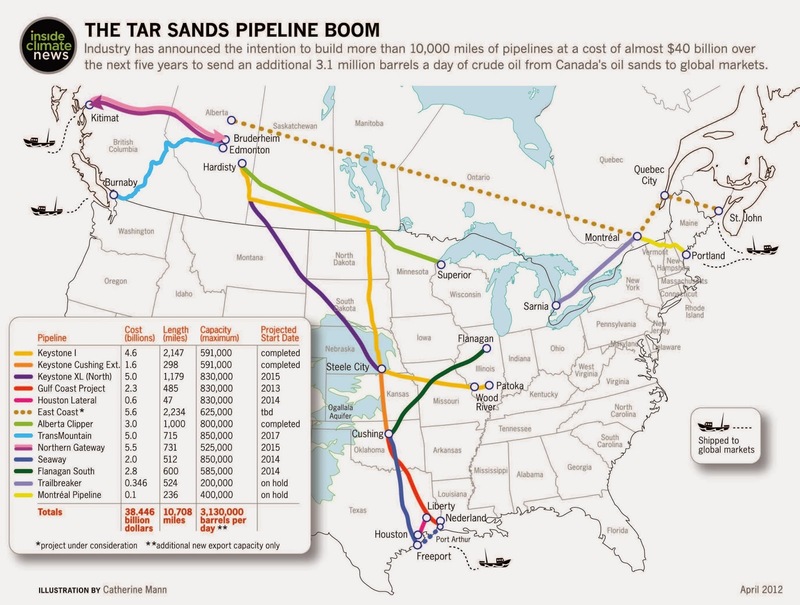 The expansion of crude oil pipelines carrying Alberta tar sands from Canada to the United States is arguably one of the largest environmental concerns in North America in recent years. The human and ecological damage these developments--as well as our populations continued dependency on fossil fuels--will cause is no longer something that can be ignored. For years now, Indigenous advocates, activists, and local community leaders have fought on the frontlines of campaigns to stop these pipelines, and while efforts around the Keystone XL (KXL) pipeline have thankfully garnered much-needed attention and public interest, it is only one of the highly destructive pipeline proposals Indigenous communities currently face. In Alberta, Minnesota and Wisconsin, communities and tribes are also facing the proposed expansion of Enbridge Energy's Alberta Clipper and Sandpiper pipelines. The Alberta Clipper expansion will run 1,000 miles from Alberta, Canada, across Minnesota and into Superior, Wisconsin, and will increase the flow of crude oil from 450,000 to 570,000 barrels per day. An additional expansion is proposed to bring flow up to the pipeline capacity of 880,000 barrels per day. If the expansion is approved by the Public Utilities Commission of Minnesota, Enbridge will begin construction this year. These expansions have been met with strong resistance from Indigenous communities and organizations, landowners, farmers and environmental advocates who not only understand the spiritual, cultural and environmental damage the development of crude oil can cause, but are also painfully aware of Enbridge's poor track record for safety, maintenance and disaster management around its pipelines. The Big Oil company has had numerous spills in recent years, one of which resulted in the largest on-land oil spill ever recorded, leaking 1.15 million gallons into the Kalamazoo River in Michigan in 2010. 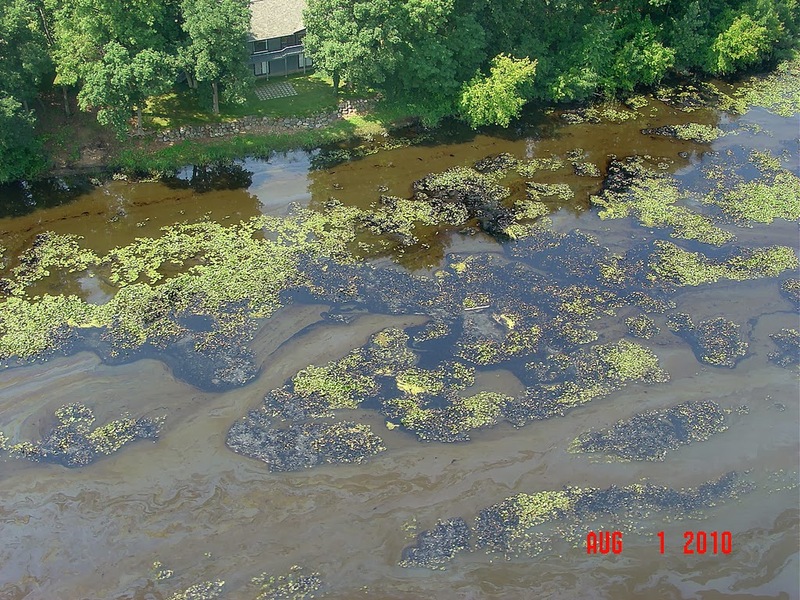 Enbridge oil spill into the Kalamazoo River, 2010. Photo source: US EPA, 2010. One of the voices leading opposition against the Alberta Clipper and Sandpiper expansions is Winona LaDuke (Anishinaabe), Executive Director of Honor the Earth. Honor the Earth's 2013 Ride for Mother Earth campaign was both a show of strong solidarity with the Lakota Nation as they fight the KXL which will cross into their territories, and opposition to tar sands and fracking imports into Minnesota, where lakes, rivers, wetlands and communities are already over burdened by high rates of toxicity and health issues because of hazardous chemical exposures from polluting industries like Big Oil. The ride--during which Anishinaabe, Lakota and Ponca riders traveled over 200 miles along the pipeline--aimed to bring attention to the Enbridge pipelines and the destruction they will cause if built, including the threat to women and children as a result of the influx of pipeline workers into the surrounding areas. Honor the Earth stands in good company in the transnational opposition to these pipelines. Other community organizations at the forefront of advocacy efforts to stop dirty oil include Indigenous Environmental Network, Protect the Sacred, as well as Nizhawendaamin Inaakiminaan (We Love Our Land), a group of Red Lake Band of Chippewa Indians, which just last year built encampments on four Enbridge pipelines to protest the company's violations of their tribal territory. WEA encourages all our friends and allies to talk to your friends, family and colleagues, and share as much information as you can about all dirty oil pipelines--the Keystone XL, the Alberta Clipper, the Sandpiper, and others. For more information, and for ideas on how you can get involved and make your voice heard, visit Honor the Earth's website. Public education is crucial; it will take our shared efforts to recognize the threats we face, and to find the solutions to protect our communities and planet from these destructive developments.